Recent trends in food appliances have people learning how to cook in more than just an oven. 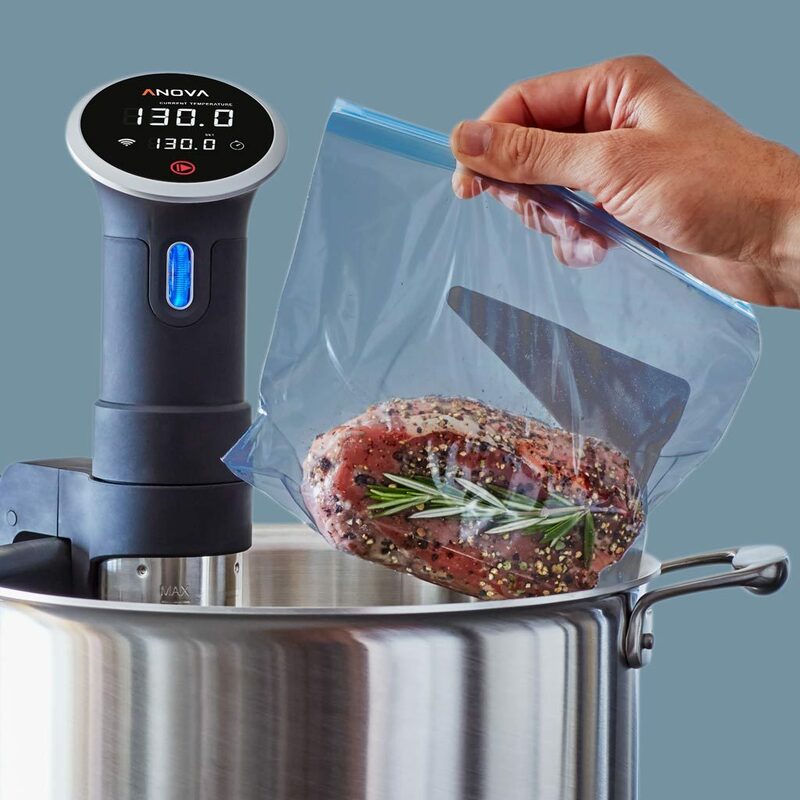 Pressure cookers, air fryers and high-powered blenders are just some of the latest machines to hit the market, but it's the sous vide (pronounced sue-veed) cookers that have most people intrigued. Sous vide is a French term meaning "under vacuum." If you read my latest blog on vacuum sealed food, this is simply taking it one step further and cooking it in the bag. This actually isn't a new concept, as restaurants and other food service facilities have been using this technique for years. However, it just recently became available and affordable for home use. A sous vide cooker uses a heated metal coil to warm water to a precise, constant low temperature. Since the water is constantly circulating, there's no hot or cool spots. Sous vide cooking takes the guesswork out of wondering if the food is done. If you put a steak in water set at 140°F, it can never go past that temperature, meaning it's nearly impossible to overcook anything. Once it's done, simply sear the steak on the stove to produce the caramelized exterior. The disadvantage is that foods must cook long enough to reach a target temperature and eliminate potential bacteria. A medium-rare steak can take up to four hours, and pork ribs can need as long as 36 hours! However, once cooked, the food can be transferred to the refrigerator or freezer for a future easy, quick meal. Another disadvantage is the environmental waste when using plastic bags. As with vacuum sealed food, sous vide cooking does pose some risks if not careful. First, only use food-safe bags. These are bags (generally made of inert polyethylene) free of BPA, phthalates, and other plasticizers, which may leach into the food and lead to health concerns. Second, if not consuming the food immediately after cooking, it's vital to cool the food quickly before placing in the refrigerator or freezer. Cool it in an ice water bath by filling a large bowl of half ice and half water. When ready to thaw, take food out of the bag, and thaw in the refrigerator. Never leave food sitting at room temperature for longer than two hours. These steps will decrease the risk of the deadly bacterium, clostridium botulinum. If you have the cash and the time, give sous vide a try; just remember to do it safely! Sous vide cookbooks are beginning to pop up online and in bookstores. Browse through a few to pick your favorite one!